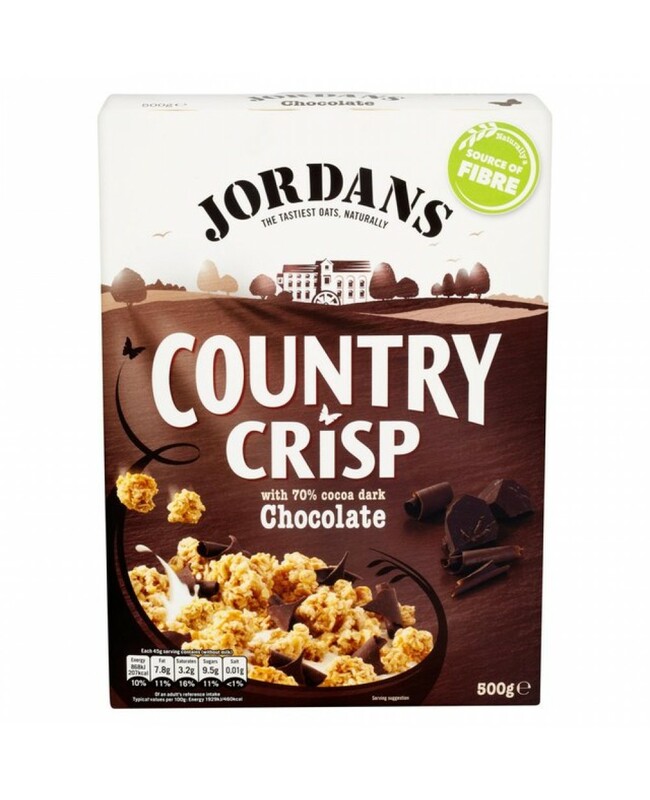 Jordans Country Crisp Dark Chocolate Is More Of A Treat Than Cereal! With Real Dark Chocolate Inside, And All Natural & Nutritious Ingredients - Why Haven't You Tried It? Jordans Crisp Dark Chocolate Cereal. Crunchy Oat Clusters & Smooth Curls Of 70% Cocoa Dark Chocolate. Contains No Artificial Ingredients Whatsoever!